We help entrepreneurs navigate the choppy waters of venture fundraising. 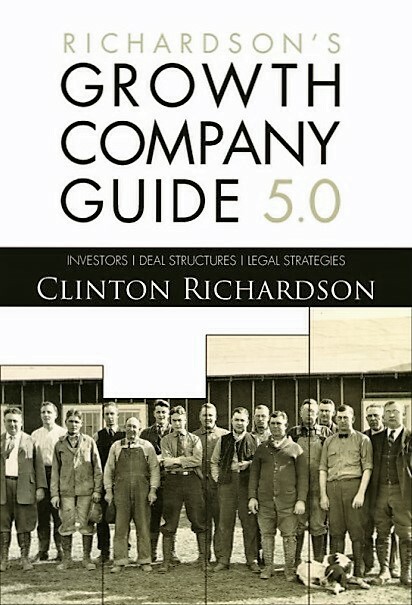 Our founder has 40+ years of practical experience and writes the critically acclaimed Growth Company Guide series. In 1987, he co-founded the first venture capital trade association in the Southeastern U.S.
We have planned, negotiated and closed hundreds of millions in venture funding and much more in exits. Advisory services include counsel on fundraising strategies, deal structures and strategic issues. They are provided by our founder, Clinton Richardson, and customized to meet client needs. We photo-blog for doers who look outside the box for inspiration. Our readers are students of life, interested in travel, photography and ideas. We publish the critically acclaimed ​​Growth Company Guide 5.0 and the award winning ​history Ancient Selfies (International Book Award Finalist and eLit Awards Gold Medal Winner). We also host the TrekPic Gallery of images. Join the journey at trekpic.com. You can reach us through our contact page on this website. “Full of tips and strategies for hunting down funding sources". "Provides valuable insight into the give-and-take of the venture funding and company growth processes."